Ahokangas was born in Kannus in 1966. He defended his doctoral dissertation in Economic Sciences in 1998 at the University of Vaasa. He has served in various expert and managerial positions in industry, as well as held research and education posts at the University of Oulu, including being an acting Professor of International Business. 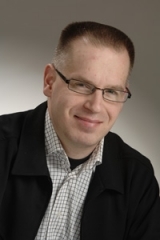 At present he is a senior research fellow at Martti Ahtisaari Institute, leading the FUTURALIS research group. Ahokangas has specialized in high-technology, digital and software businesses, and in particular in business models, ecosystems and strategies and the internationalization of wireless telecommunication enterprises. He has participated in and been responsible for many joint domestic and international research and development projects. He has published over 100 scientific and professional publications. Ahokangas has taught strategic business management, international business and entrepreneurship related topics. He has, among others, been responsible for planning and executing EMBA courses for over ten years.